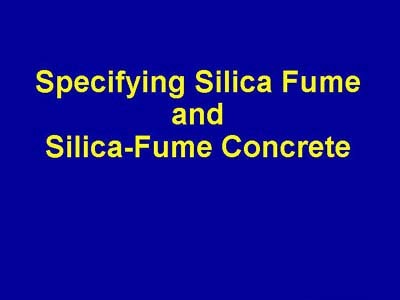 This section of the presentation discusses specifications for silica fume and silica-fume concrete. The available standard specifications are presented. Then, the format for specifications for silica-fume concrete and the minimum essential elements for these specifications are described.